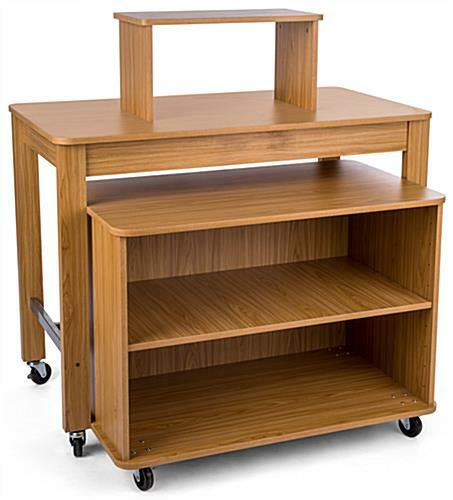 This 3 tier nesting display table set includes (1) 47.75”w x 26”d x 37.75”h maple counter and (1) 40”w x 23.5”d x 30”h shelving unit. 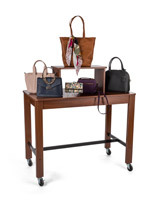 The two-piece package is a wonderful way to present clothing, fashion accessories and other sales merchandise in your retail store. 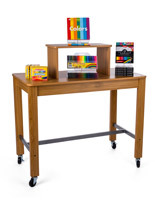 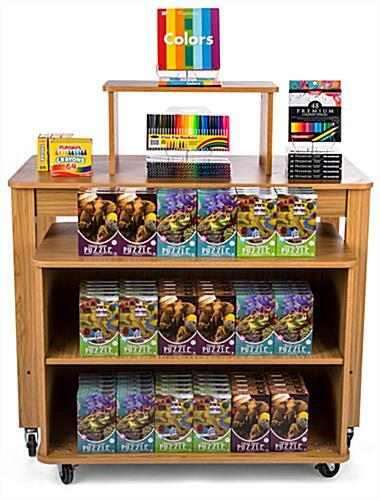 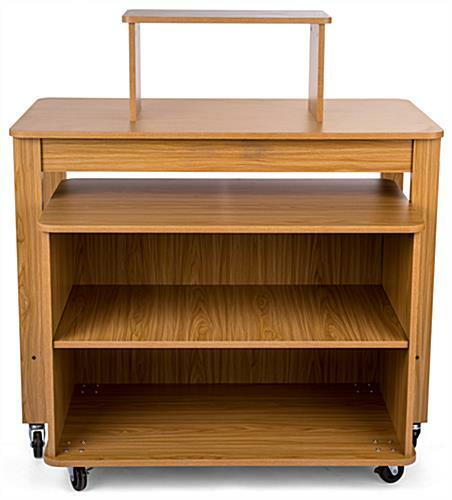 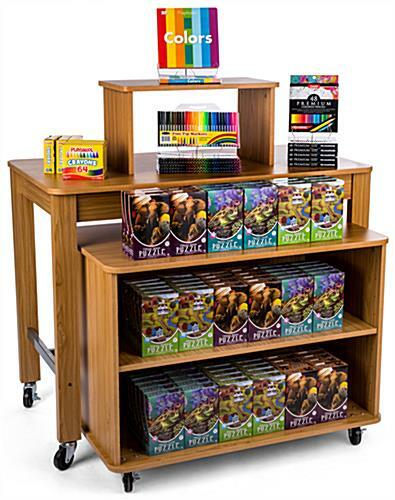 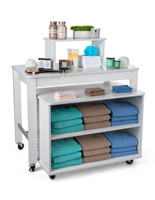 Wheels allow the nesting display table set to be conveniently rolled from one area of your boutique to another. 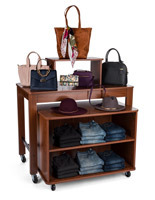 Choose from 9 adjustable shelf height settings on the shelving unit to accommodate a wide variety of clothing and fashion accessories. 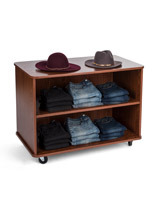 The topper is a perfect place to showcase shoes and other small sales merchandise. 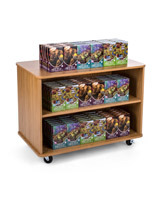 Bring your retail store to the next level with the addition of this nesting display set. 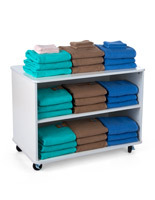 47.8" x 49.5" x 26.0"
40.0" x 30.0" x 23.5"